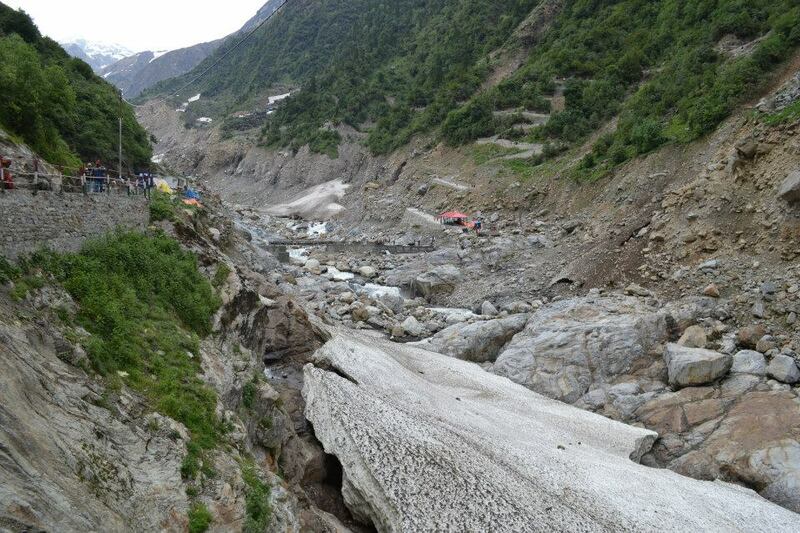 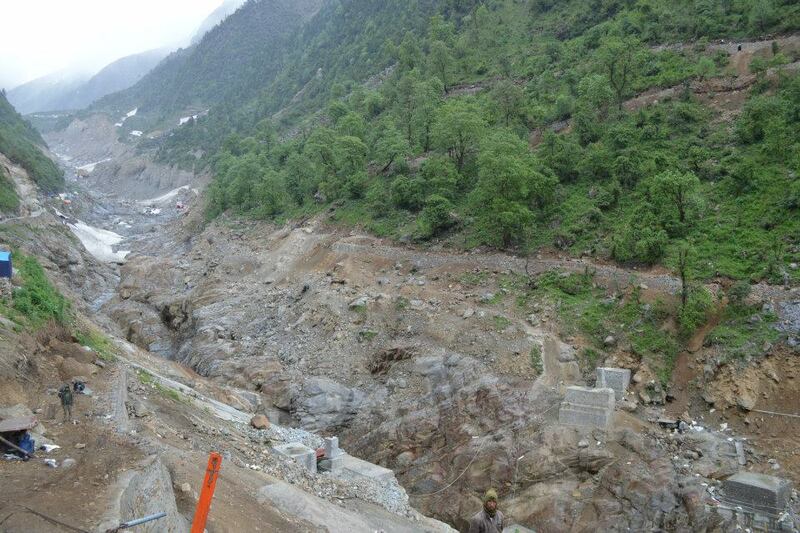 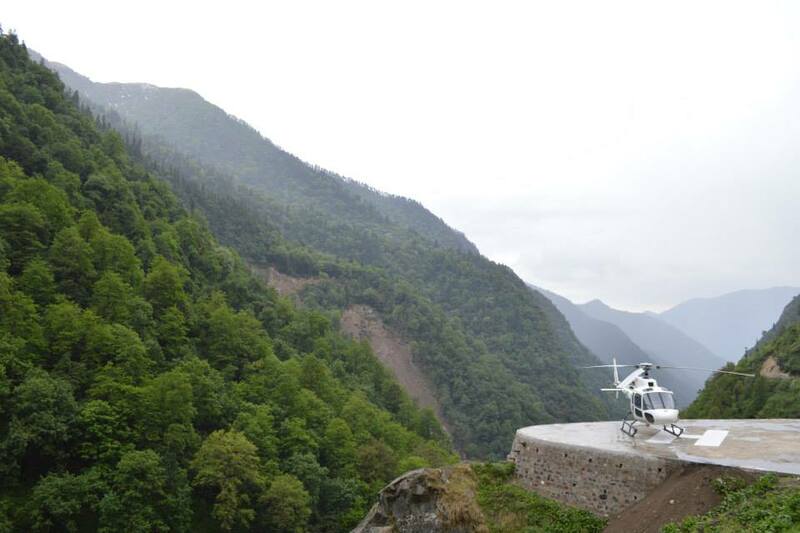 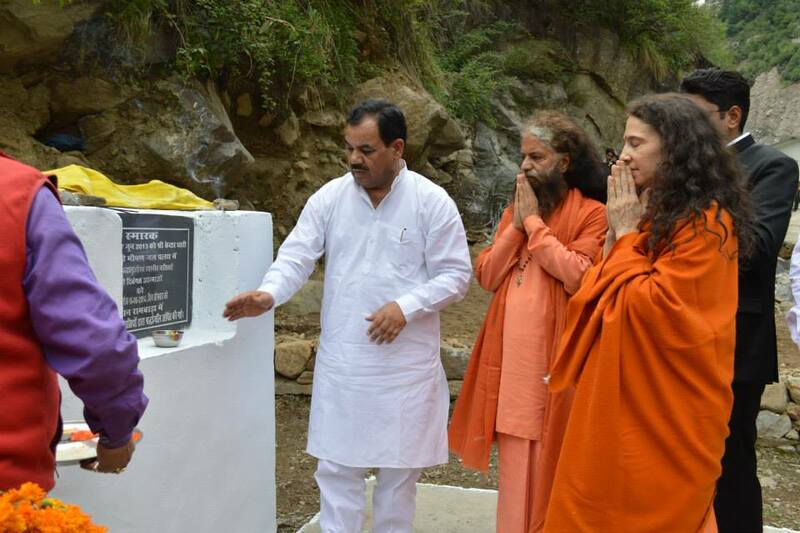 Pujya Swamiji and Sadhvi Bhagawatiji visited the massive Rambara landslide location during their recent yatra to Kedarnath, where an entire town and large chunk of mountainside was completely wiped out, with Hon’ble Minister of Agriculture, Dr. Harak Singh Rawatji and District Magistrate of Rudraprayag, Dr.Raghav Langar. 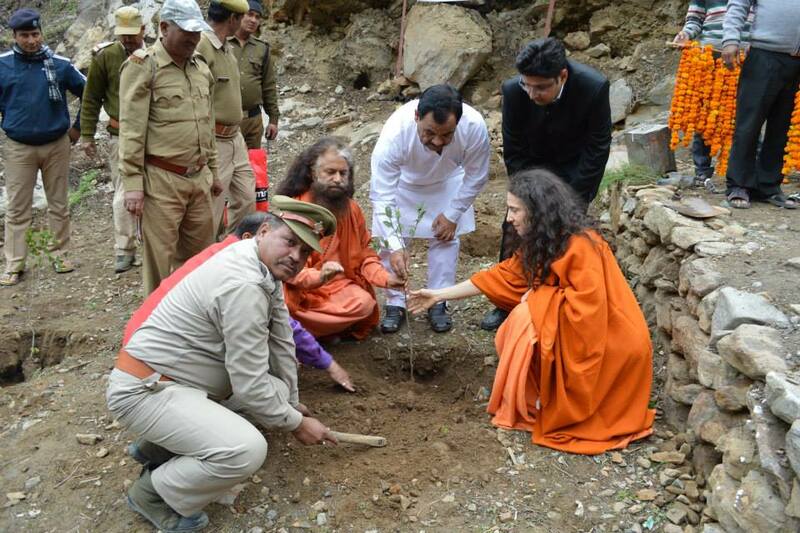 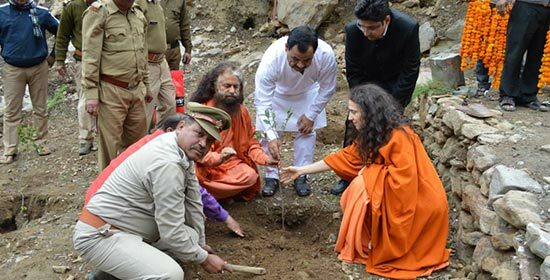 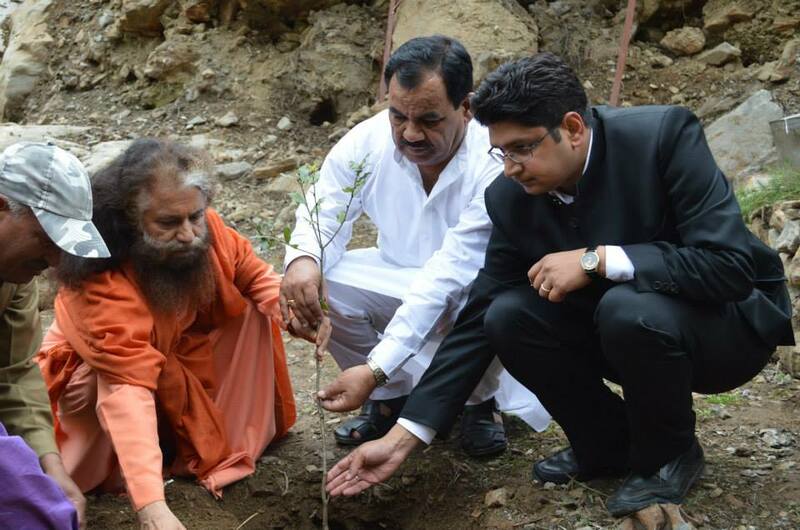 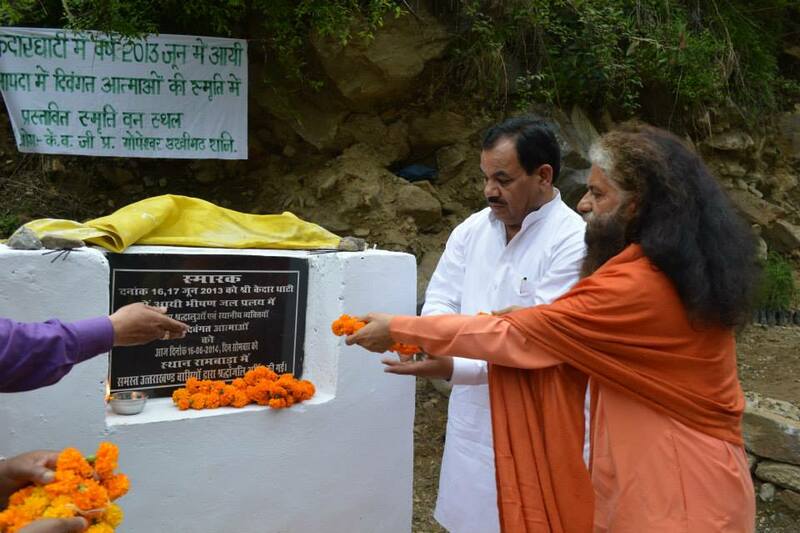 The International Memorial Garden (Smriti Van) will have indigenous and sacred trees planted in memory of the departed souls from the tragic 2013 floods in Uttarakhand, and Pujya Swamiji planted trees while visiting to start this Memorial Garden. 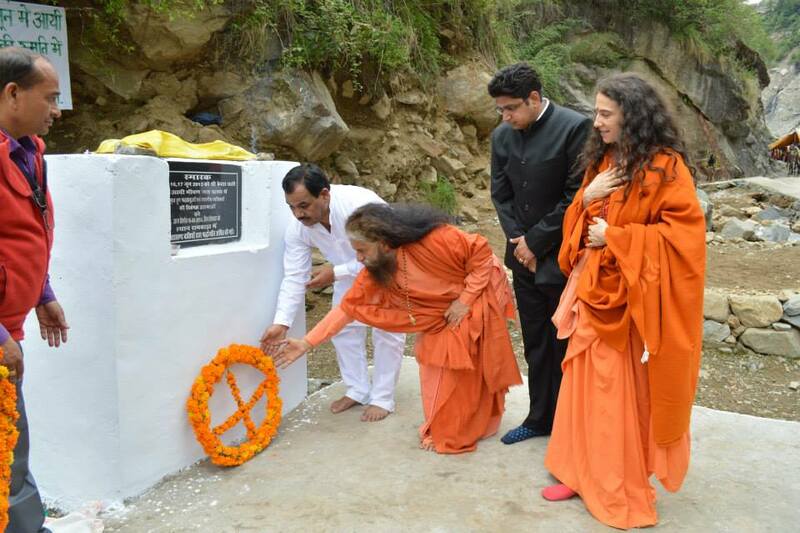 It will also be developed as an eco-tourism location where people can be with Nature as well as be inspired to protect and preserve the environment, and in so doing abate natural disasters and save countless, precious lives. 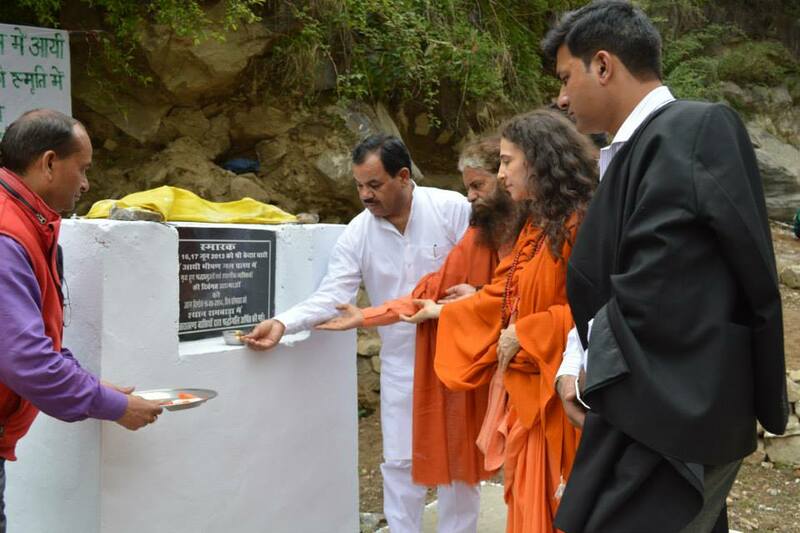 Click here to read more about Divine Shakti Foundation’s yatra to the Himalayas and the work DSF is doing in these areas.